Coming from a 2005 laptop which graphic card died (I made it work again during the last three years by cooking it in the oven), it was the best moment to switch to the last technologies. I owned a core 2 duo laptop with 2GB of ram, a nvidia 8600m gs and a 250gb sata I hdd. The last rig I made was for my brother five years ago and it is based on a sandy bridge socket. So I needed to mount a more powerful pc. I am a developer so I need something which helps me to create websites and android applications. Case closed, case fan off, cpu cooler auto. All in all, I'm very satisfied: 15s or less for starting up windows 10. I haven't tested it yet for my job. It is absolutely silent. I can't hear the cpu cooler. But the case fan is shut off until 40°C are reached. Very impressed by its silence. No noise at all atlow speed, so low at full speed that I can't hear it when my external hdd is on. 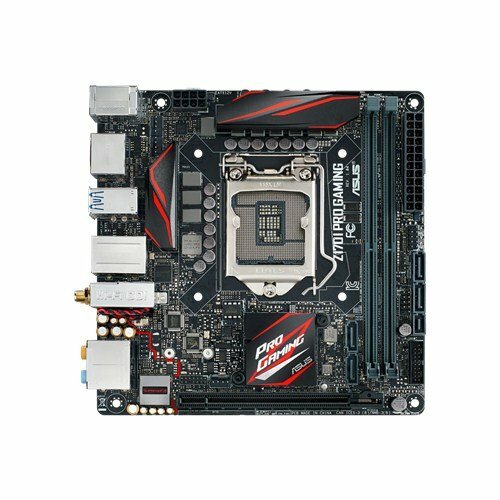 I think this is the best value for money mini itx motherboard: a lot of usb 3.0/3.1 usb ports, display port, m.2 socket, load of options in the bios. As a bonus: leds which show you which component fail to start. At this point, I think all rams are equivalent. I chose the most capacity the motherboard can accept at the lowest value. One star less for the high price. There is not much choices on sfx psu out there. I opt for this one because of its fan: it is running only above 41°C which means it is completely silent at idle. But I can hear from time to time some jinglings. I have a similar case and I noticed that the stock cooler performs way better then aftermarket due to limited space and airflow. I used to have the stock cooler and I found it quite noisy. I often read on forums that it is not really efficient. But I haven't tested it on this rig. 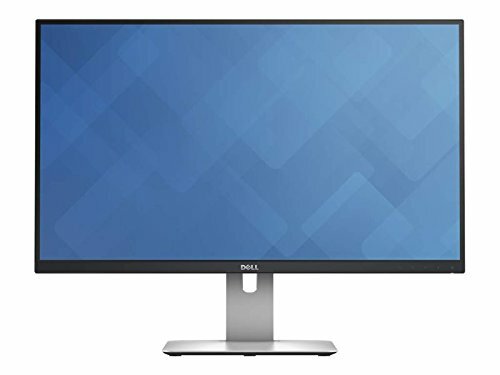 Do you have any issues with the memory/settings? Did not find any 32gb kits that are compatible according asus. Work well @2666Mhz. XMP enabled. 1gb used for internal graphics. 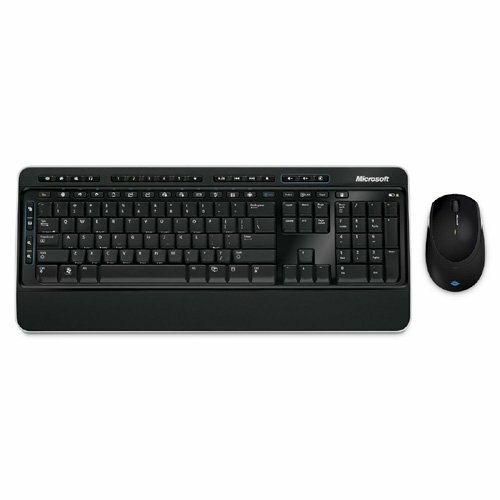 Was there anything you needed to set in the bios or do before hand to get that motherboard to detect the m.2 drive? I was able to install win10 and update everything and have been using my machine normally for a week but in my bios (on that same mobo) it shows m.2: n/a and m.2 as empty so I am stumped. Reckon a 3.5 HDD will fit at the top if I velcro tape it? I think there is enough room for it if there is enough below. But you need to make sure that it is really well fixed. Very nice build! İ am planning to have lian li pc q21, i would lile ask anout CPU cooler. The case rated for 60mm; is it the total space or recomended height? Because there eould be only 1-2mm clearance between the cpu fan and psu fan (which are sucking air from opposite direction. Sorry for reviving very old build. Case fan is loud, noctua is more expensive than Schyte... also looking at that red zalman which seems good, but would prefer interchancable fan for future usage. Unfortunately, 60mm is the maximum height for the CPU cooler. You can see in the 6th picture that there is no more space between the cooler and the PSU. Thank you for the response. So here comes another question (i read great reviews from this cooler), how you set up the fans? 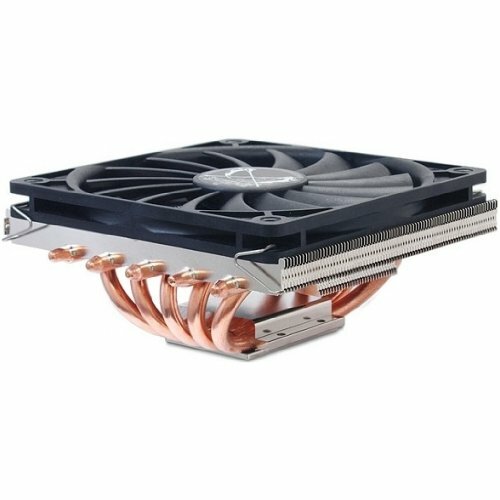 Psu is and cpu cooler fans are in opposite direction, if so it creates any noise something? 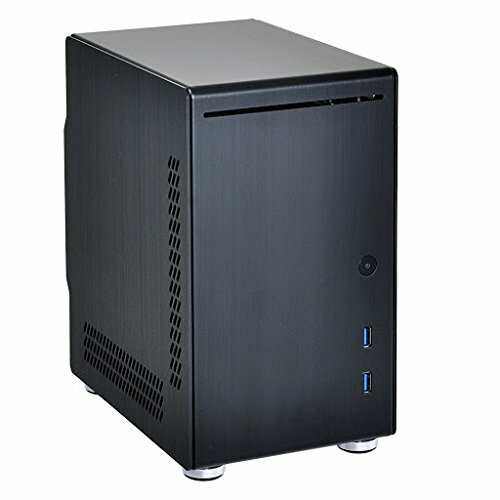 Planning to buy this case in september, if i can resolve silent and efficient cooling without any case fan and wit a non-k cpu. Note: in the first days, I had a"click" noise from the psu after a few minutes. Some people on the forums even complained about it. But since then, never heard it anymore. thanks, i've missed it. i am wishing to have SF450 for that case, but there no point for semi-passive as well, if the CPU is pumping air into PSU. Otherwise, i'll drill a mesh/fan and flip the PSU. Hello! How many case fans can this mobo take?